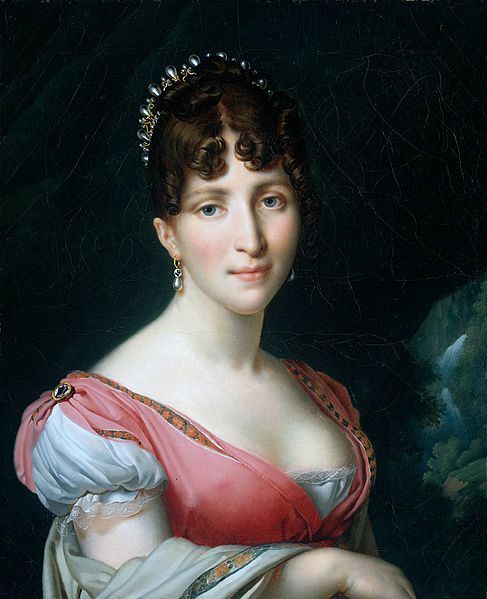 Hortense E de Beauharnais was born on this day in Paris, France in 1783. Today is the 230th anniversary of her birth. She was born to French aristocrats Alexandre, Vicomte de Beauharnais and Joséphine Tascher de la Pagerie. 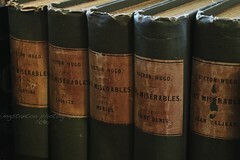 Both her parents were arrested during the French Revolution, and her father was guillotined at the Place de la Révolution on July 23, 1794. Josephine was released in August of that year. In 1796 she married Napoleon Bonaparte. Hortense was a pretty child. She had long blond hair and blue eyes. 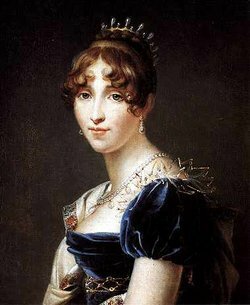 She attended school Napoleon’s youngest sister, Caroline. 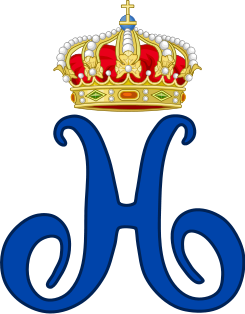 The Emperor appointed Louis King of Holland and Hortense had to leave her beloved Paris to follow her no-so-beloved husband to Holland. The Netherlands won her over and she learned to enjoy the people, customs and landscapes. But her relationship with Louis did not improve. 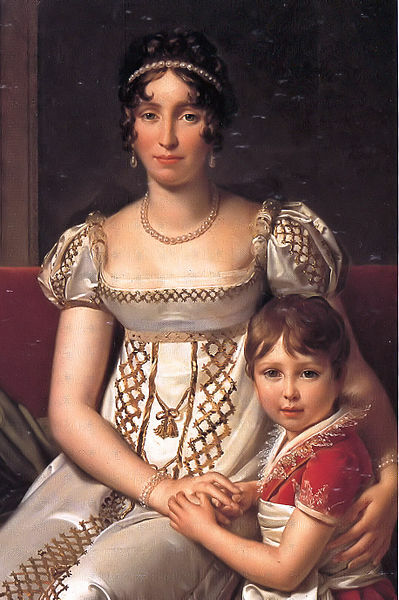 After the death of their first son Hortense was allowed to return to Paris because it would provide a more healthy environment for both the Queen and her remaining children. 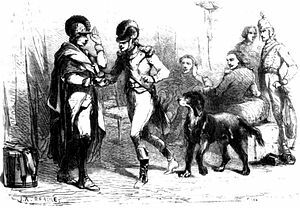 When Napoleon prepared to remarry he decided that it wouldn’t do to have the daughter of his first wife living at court, so he had her shuttled north again. Her stay in Holland was temporary and she left, again for “health” reasons, in 1810. 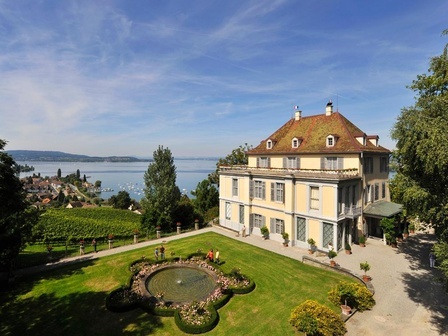 Now officially separated Hortense moved to Switzerland where she had a long-term affair with Colonel Charles Joseph, Comte de Flahaut. 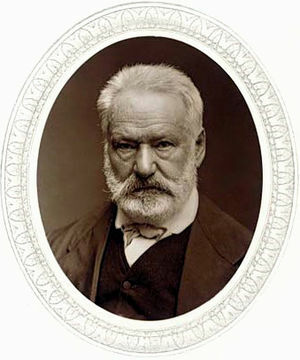 The couple had an illegitimate son together, Charles Auguste Louis Joseph. The main house, which still stands, had living quarters and rooms for entertainment (including a theatre). She continued to expand the house and revamp the estate, adding the latest in Parisian style almost until her death on October 5, 1837. 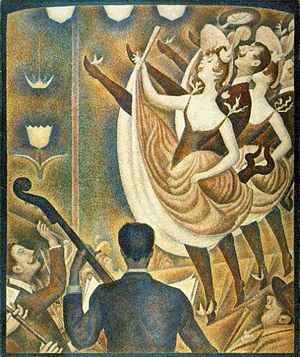 George Seurat was born on this day in Paris, France in 1859. 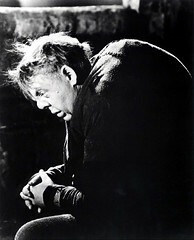 Today is the 153rd anniversary of his birth. He was born to a wealthy family. His father was distant and taciturn. He painted six huge canvas paintings that represent the bulk of his artistic output. The first, painted in 1813 (and taking almost the entire year to complete) was Bathing at Asnieres. Next came La Grande Jatte. 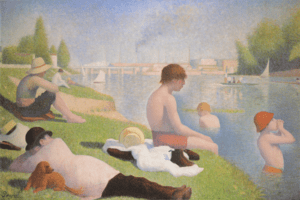 He spent two years on La Grande Jatte, going to the same spot every day for months. 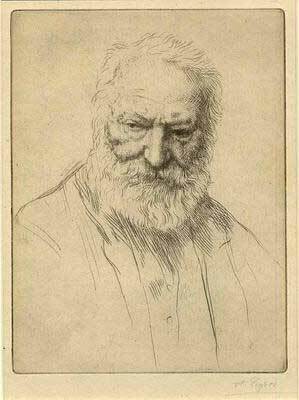 There he would sketch in the morning, then in the afternoon he would return to his studio and paint on his giant canvas. 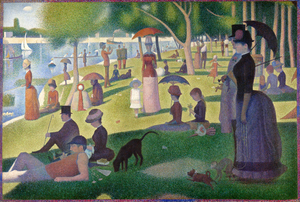 Le Grande Jatte “made” Seurat. He took a studio next to fellow pointillist Signac in Montmartre. Likewise he keep aloof about pricing his paintings. He didn’t need to worry about money like some of his fellow artists. He settled into an annual routine of painting large canvas s in his studio during the winter and doing smaller marine paintings at one of the Normandy Ports in the Summer. 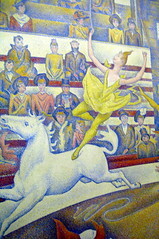 His other large canvas paintings include Le Cirque (1890), The Models (1888), La Parade (1889), and Le Chahut (1891). 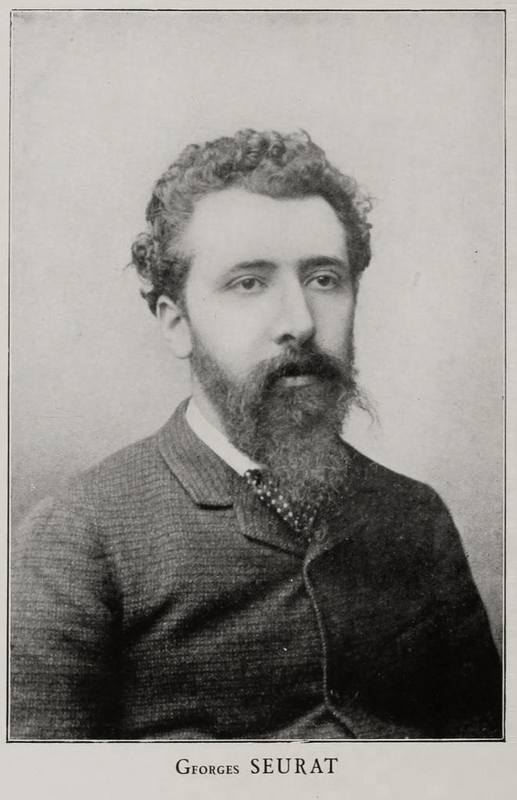 Seurat died at the age of 31 from meningitis in March of 1891.